Usually, people take steps to avoid smelling like booze. But this perfumer encourages you to smell like a happy hour. Commodity, which originally launched as a massively successful Kickstarter, is now available at Sephora. They make cocktail-inspired scents like gin and whiskey, but don’t worry, you won’t smell like a stale bar. Rather, Commodity created the fragrances based on sentimental association with your favorite spirit using ingredients like bergamot, eucalyptus and mahogany. Gin, for example, features bergamot, eucalyptus, sandalwood and jasmine; whiskey gets its smell from mahogany, sage and cinnamon. For something lighter and brighter, Commodity offers mimosa made with mandarin, blood orange and geranium or tea that smells like citrus, jasmine and mint. If booze isn't your first inclination for perfume, they do offer plenty of other creative scents meant to evoke things like paper, rain and gold. 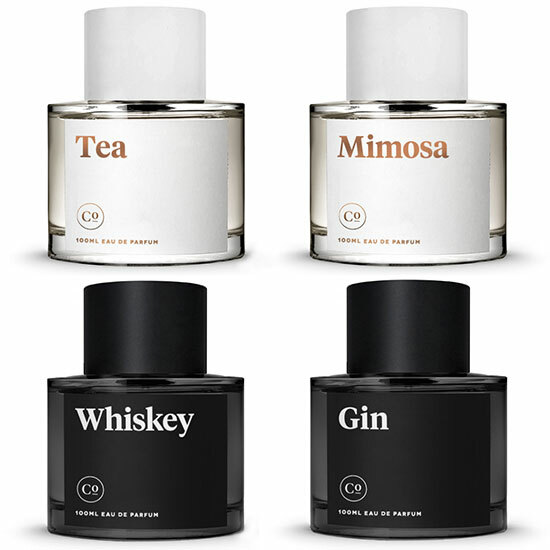 The company also encourages you to mix and match fragrance samples to create your own concoctions. We’re not exactly sure what you’d call a cocktail of gin and rain, but we bet it would smell great.